As a Catholic institution, Bishop Noll is committed to educating the whole person – mind, body, and soul. Bishop Noll has provided a quality education to more than 19,000 students for more than 95 years, in part, because of grateful alumni who give back. Alumni support helps provide vital funds that sustain the educational mission of inspiring academic achievement, building moral character, and nurturing spiritual growth. 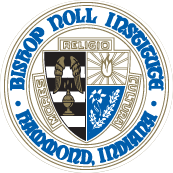 The Annual Fund is the largest fundraising effort at Bishop Noll Institute. Annual Fund monies go to work immediately to support the gap between current tuition costs and the actual cost of educating each student. If you have not had the opportunity to make your donation to our Annual Fund, we ask that you make yours today. There are a number of ways to send us your gift: Click the “Donate” tab right here on this page and make your donation on line with a credit or debit card, mail your gift, or call us; we would be happy to take your gift over the phone and learn about what is happening in your life. Contact Mary Ellen O’Neill or Juli Sandoval in the Advancement Office at 219-932-9058. Thank you in advance for your generosity! No matter how you choose to support Bishop Noll, your gift does “double duty” by increasing our alumni participation. Alumni participation to our Annual Fund is a vote of satisfaction with your BNI experience and is an important statistic used in grant applications, which greatly benefit Bishop Noll.